Jewish banners There are 2 products. 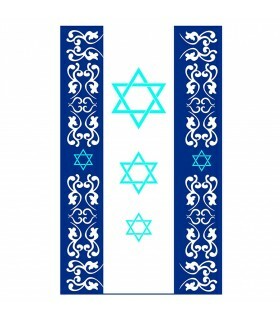 Star of David Jewish standard available in various sizes. Made of polyester 110 gr. with seams on the ends. It comes prepared with tape and fastening rings. 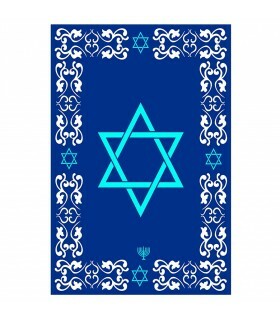 Jewish Star 3 Star of David available in various sizes. Made of polyester 110 gr. with seams on the ends. It comes prepared with tape and fastening rings.